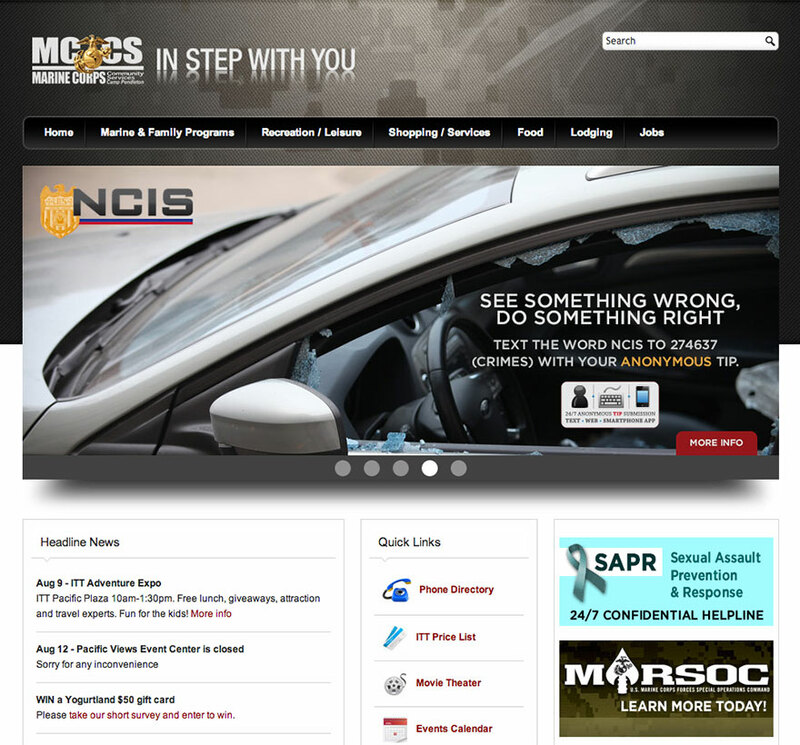 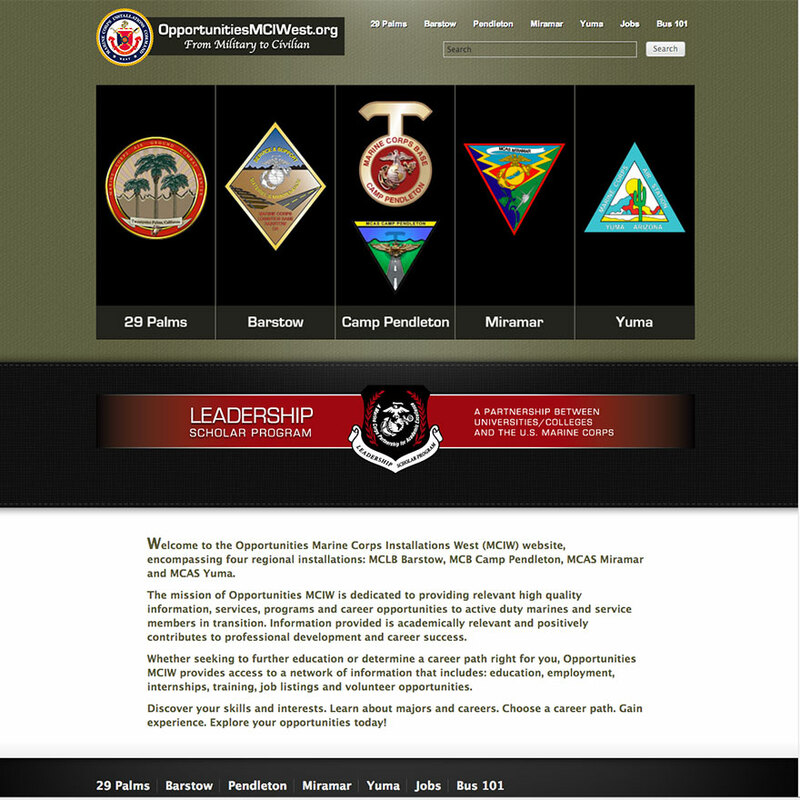 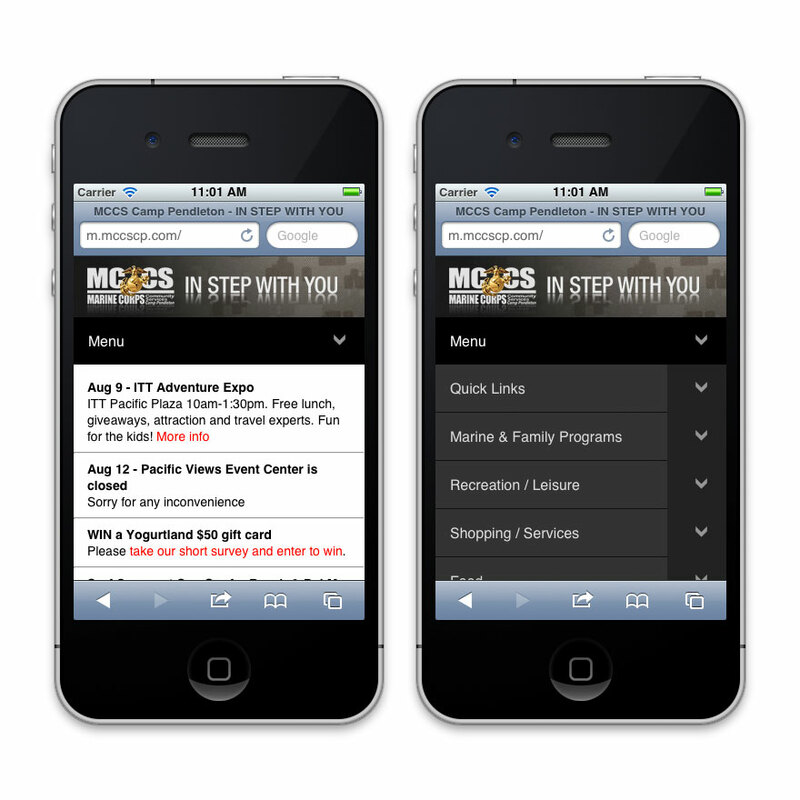 Mobile front-end and navigational UI for MCCS Camp Pendleton. 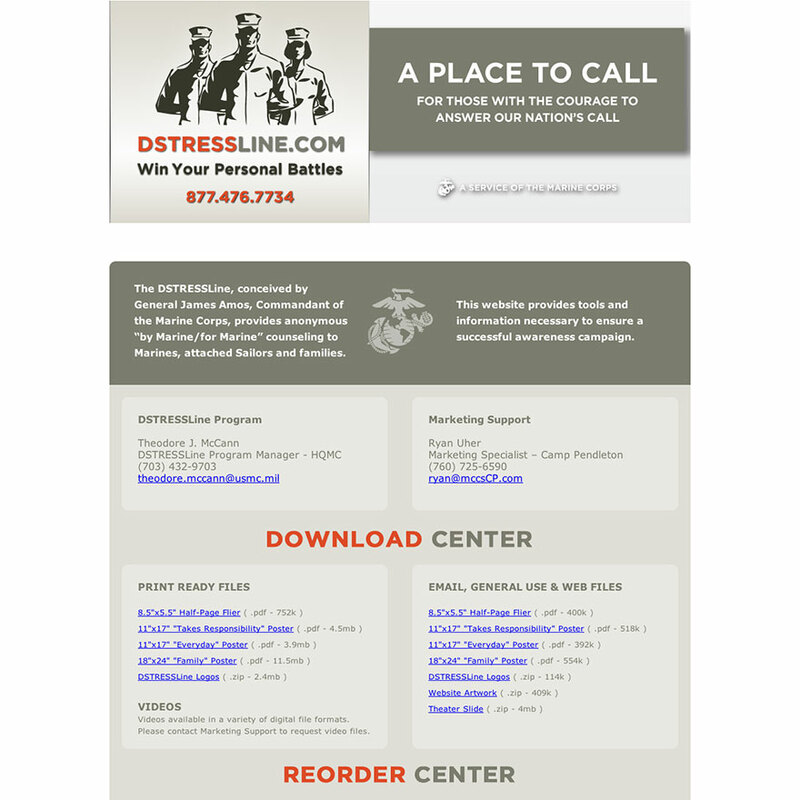 A resources & reorder page in support of the Marine Corps "DSTRESSLINE.com". 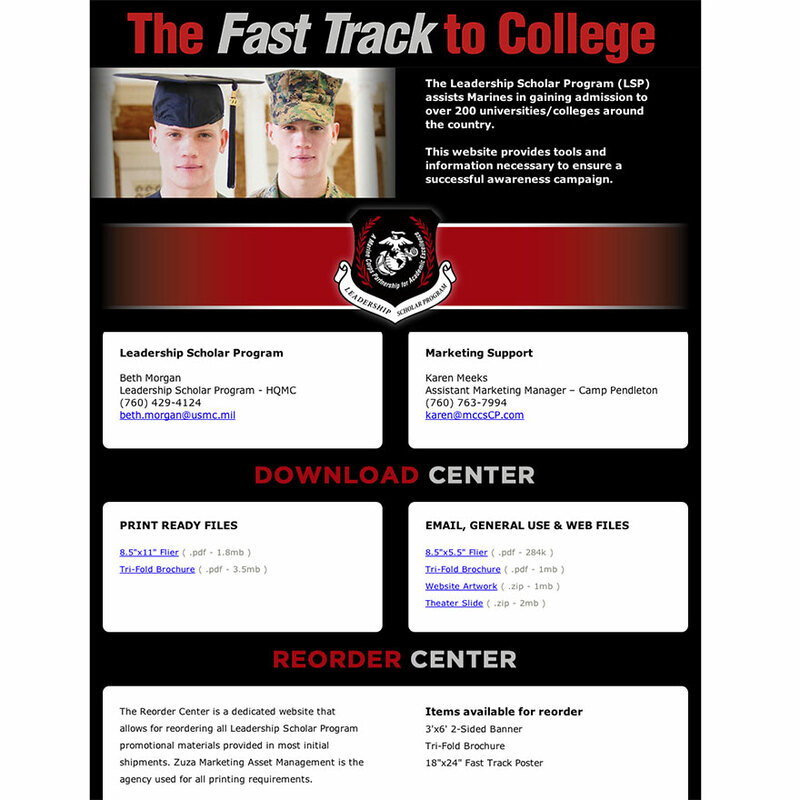 A marketing resources & reorder page in support of the Marine Corps "Leadership Scholar Program". 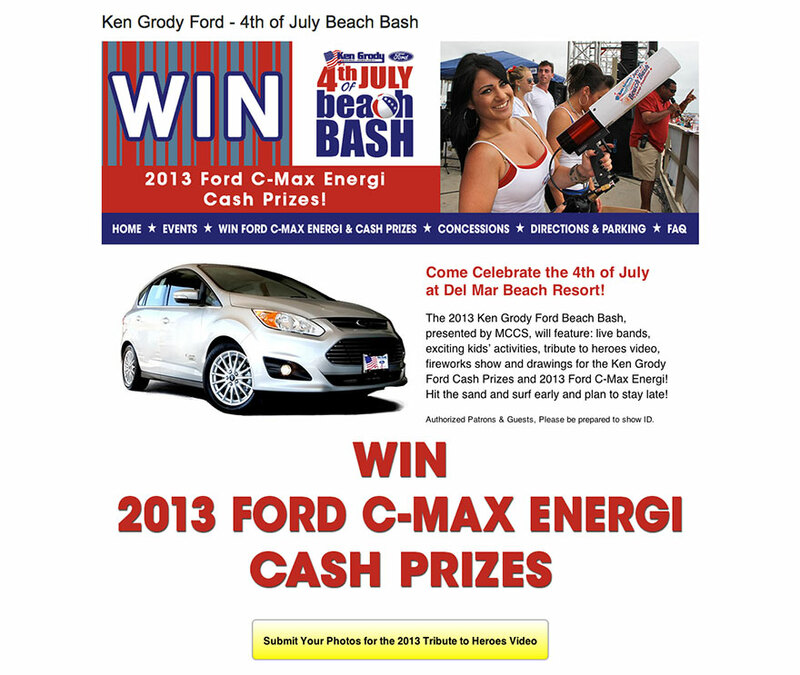 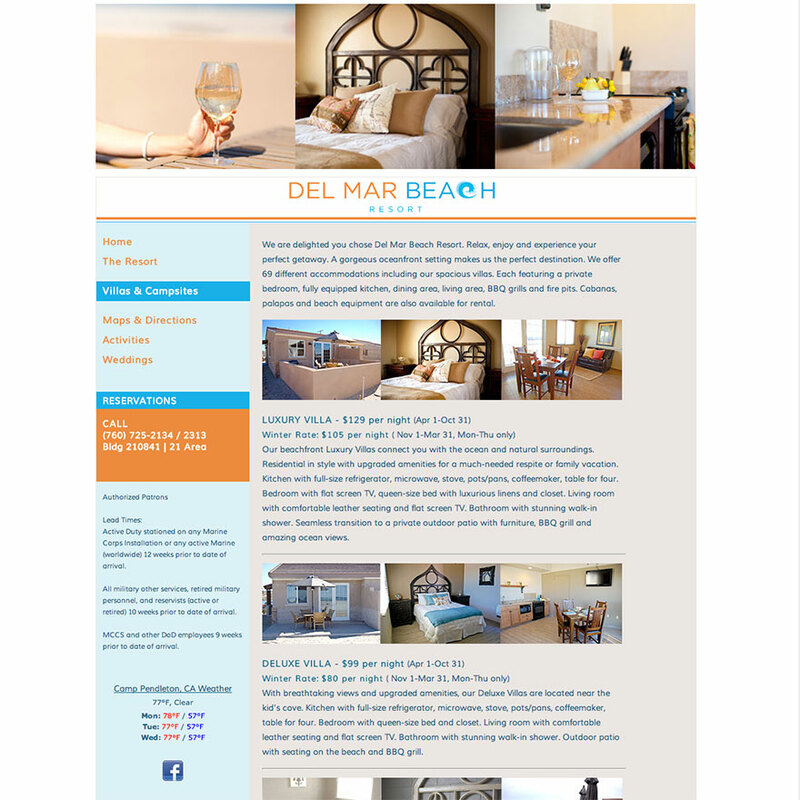 Promotional Website for the 2013 Ken Grody Ford Beach Bash at Camp Pendleton. 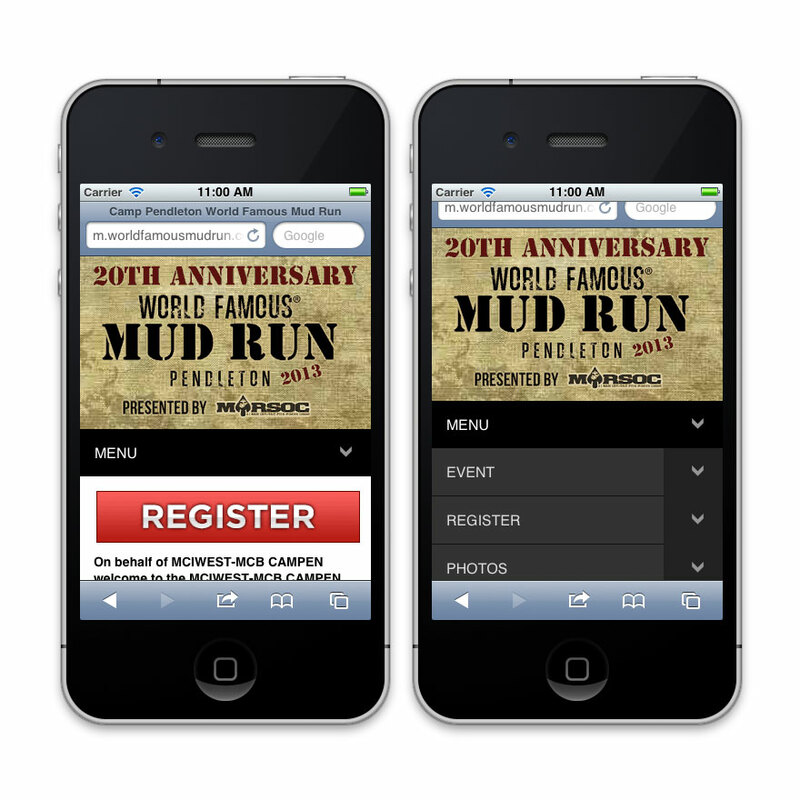 Mobile front-end and navigational UI for the Word Famous Mud Run®. 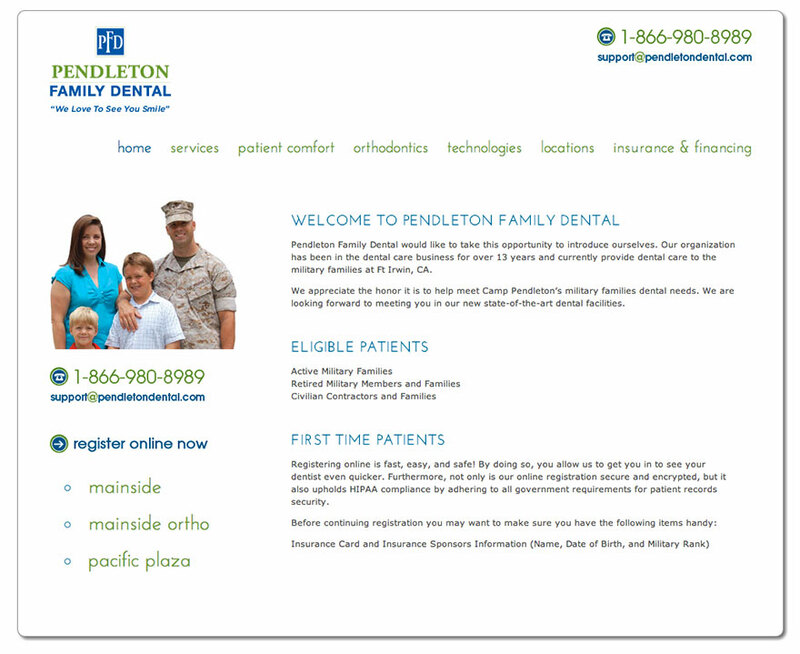 Website for dental service operating aboard Marine Corps Base, Camp Pendleton. 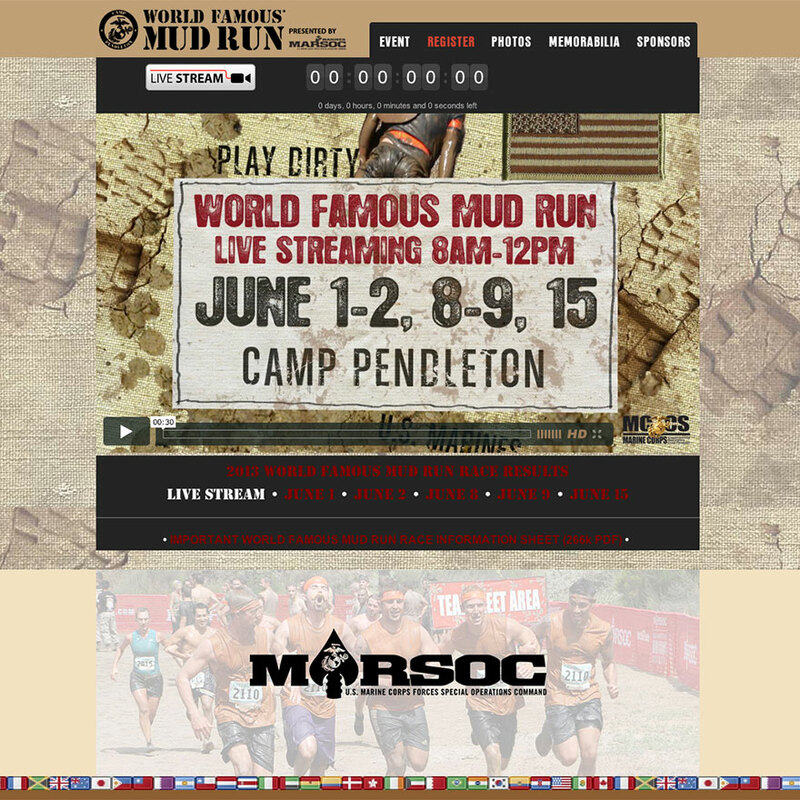 Promotional page for the Filthy Fun Fest at Camp Pendleton. 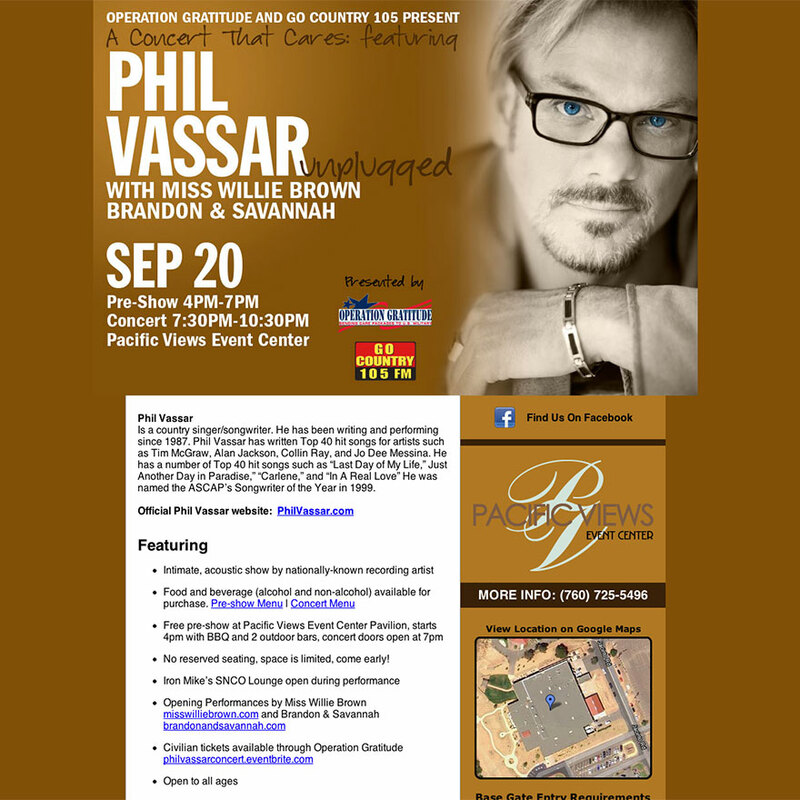 Promotional page for the Phil Vassar Unplugged concert at Camp Pendleton, CA. 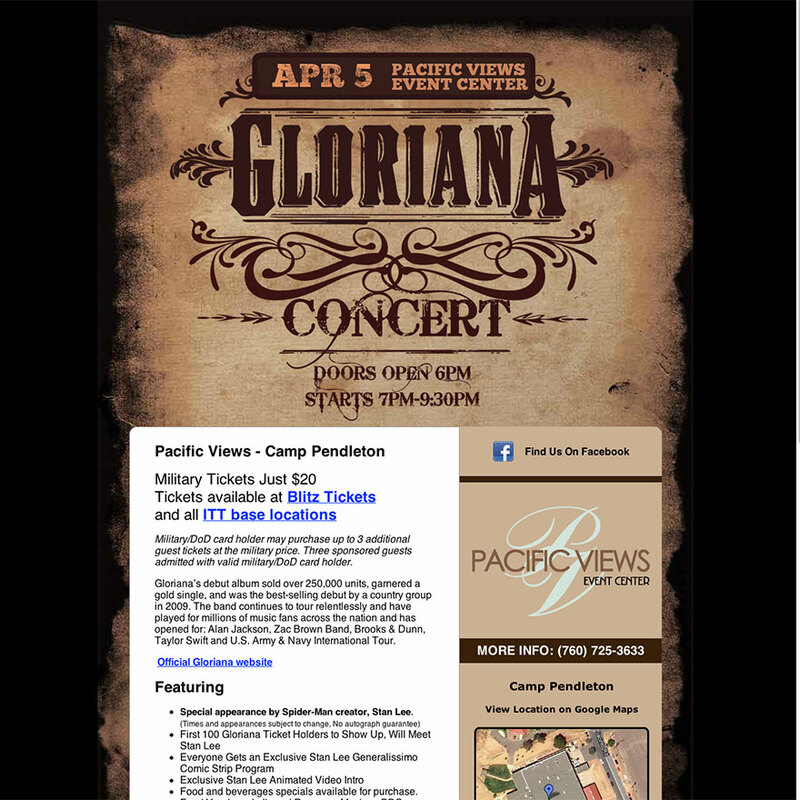 Promotional page for the Gloriana concert at Camp Pendleton, CA.